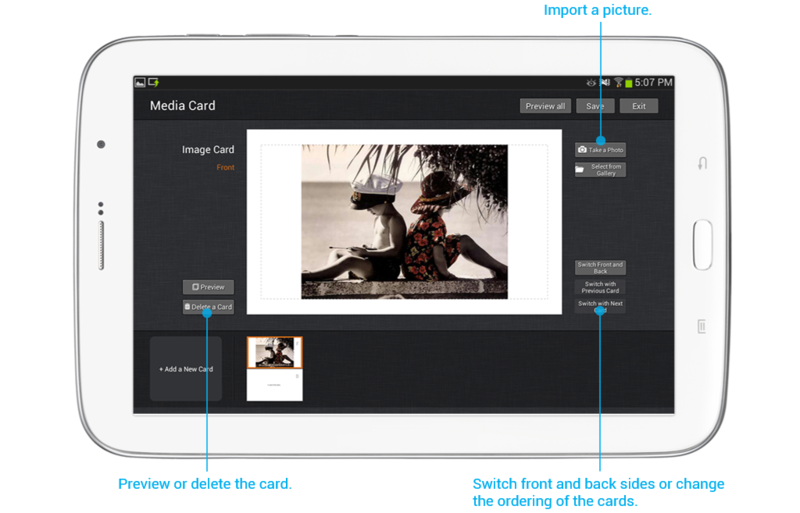 Select “More menu” > “Media Card” and designate location to create media card. There are 3 types in media cards : Text, Image and Web. 2. Insert or enter content according to the type of card. Text : Enter text on the front and back side. Image : Insert image on the front and enter text on the back. Web : Enter URL on the front. 3. Select “Save” and enter title. 4. 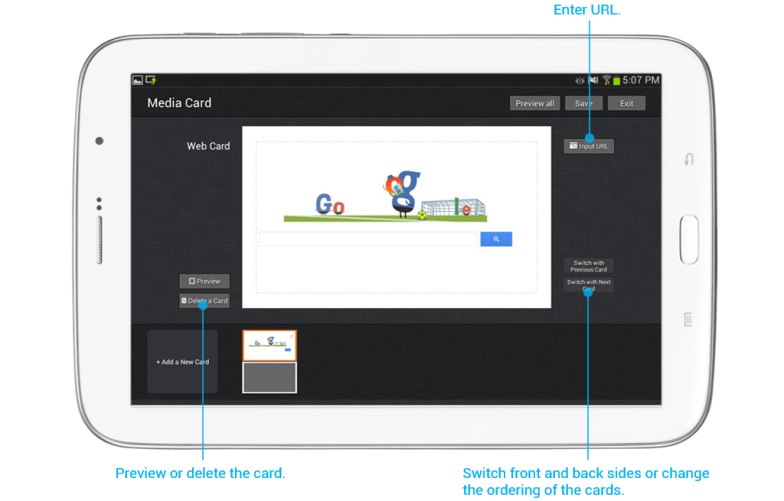 Media card is created on designated position.